​"...an incredible coach with a substantial amount of knowledge and skills." Bree Hanafin is an incredible softball coach with a substantial amount of knowledge and skills that she extends to her student athletes. Our daughter Sophia has been taking private hitting lessons as well as speed, agility and conditioning from Bree and has progressed tremendously. Bree has had a profound impact on Sophia's skills as she prepped her for Varsity Softball at Bishop O'Connell as well as for her summer travel schedule. 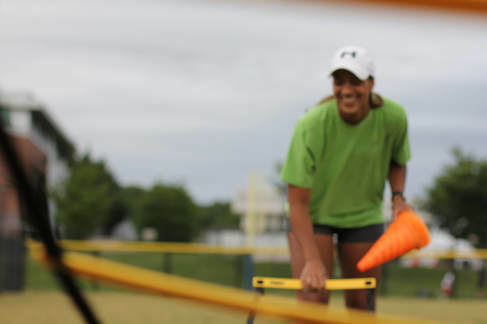 Bree connects with her student athletes with a disciplined yet engaging approach. This ensures they truly understand, absorb and then employ the specific points in her lessons. We would recommend Bree to any parent whose child has a passion for softball and desires to learn how to be a great player! "Bree is able to teach more than just skills, but also life lessons." We value the time our daughter has spent with Coach Bree. She really looks up to her not only as a coach but also as a mentor. Bree is able to teach more than just skills but also life lessons. My daughter looks forward to meeting with her each week. She can teach the discipline that it takes to improve along with the skills and drills to make her a better athlete overall all while still having fun. Her recommendations go beyond the basics and are spot on! "​I could not be happier with my daughter's progression under Kristi." Kristi and Bree are great. My daughters have learned so much from both of them. Best of all, my girls love working with them because they see how much Kristi and Bree care about them and their success. ​Kristi not only knows technique and mechanics, she's a fantastic communicator. I could not be happier with my daughter's progression under Kristi. "​Becky has a wonderful knack for drawing on the lessons from her own pitching career." Becky Anderson is a wonderful instructor for young girls looking to improve fundamental pitching mechanics and more advanced pitching skills. Through group clinic and private sessions, the instruction, tips, and mental approaches that Becky has provided to my 10-year old daughter have been a key part of her rapid improvement in game play over the past 2 years. In particular, Becky has a wonderful knack for drawing on the lessons from her own pitching career—relaying that information in a way that resonates with young girls and provides real, concrete tools that they can take into game situations and excel. "AWESOME - what more can I say about Mandy?" "Awesome" - What more can I say about Mandy? My daughter has one-on-one sessions with Mandy regularly. After her first session, we were just blown away. Mandy is very professional, figured out how to connect with my daughter, knows what to look for and helped her improve on it immediately. She is extremely flexible and a pleasure to deal with. So happy we found her! "Mandy keeps every session fun, yet challenging." Mandy not only helped my daughter improve her catching fundamentals, she also stressed the intangibles like field leadership and mental toughness that have propelled her to a new level. She also keeps every session fun, yet challenging. We strongly recommend her for anyone who wants to become the best catcher they can be… We also have some great news. First, her former [team] coaches were really impressed with her game last time they played, especially her blocking, which they said was the best they'd seen all year. And today, after the last two games of our last [team] tournament, she tried out for [a new team] and got an offer right on the spot! "I love the feedback we get from Becky which accurately pinpoints things that we can work on at home ​between lessons!" My 9 year old has been working with Becky for a year and the improvement, in both accuracy and speed, has been incredible. My daughter feels so comfortable during the lessons and I love the feedback we get from Becky which accurately pinpoints things that we can work on at home between lessons! 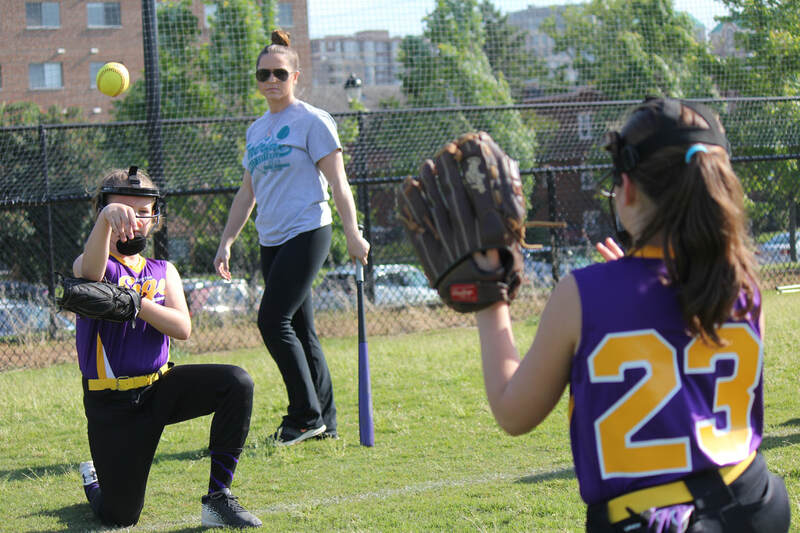 "Bree's knowledge of the game is evident from the moment you meet her..."
My 12 year-old-daughter had struggled at the plate her entire spring season. She started working with Bree, and in just three short weeks, it was like watching a new player in the box. Bree taught her how to approach each at-bat, helped her to develop a fundamentally-sound swing, and most importantly, instilled in her a confidence that she takes into every practice and game. From there, it's only gotten better every week. 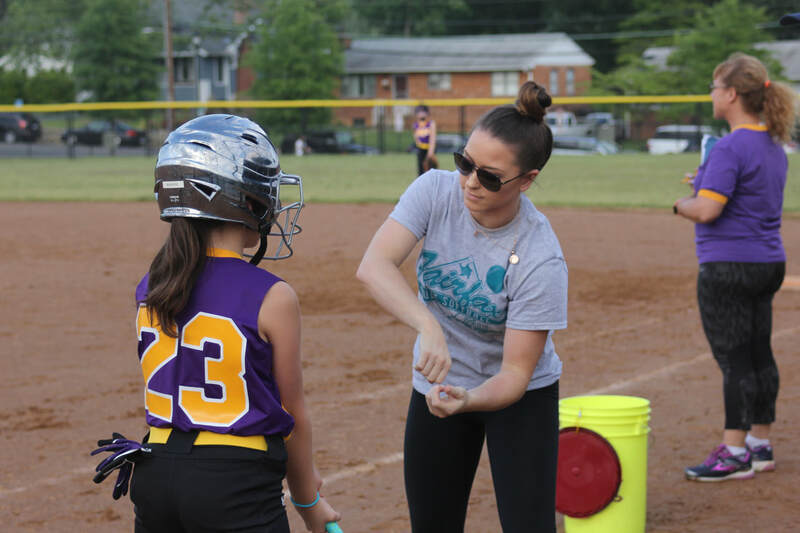 Bree's knowledge of the game is evident from the moment you meet her, her teaching style resonates for young athletes, and the personal interest she takes in her students is a rare gift to find in a coach. 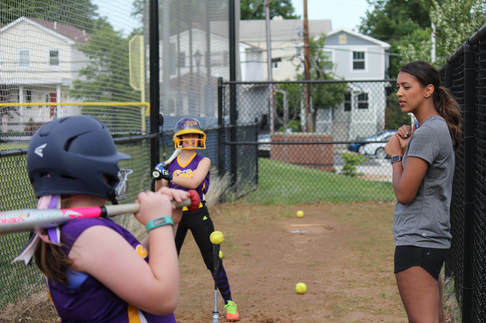 "Kristi is a natural teacher who makes learning softball fun." Kristi Kelleher is an amazing hitting instructor. She’s a natural teacher who makes learning softball fun. Kristi leveled out and shortened my daughter’s swing, helped increase her bat speed, and taught her how to properly approach different pitches. Kristi’s also done great work assisting my daughter with improving her fielding and throwing. I highly recommend Kristi as a softball instructor.